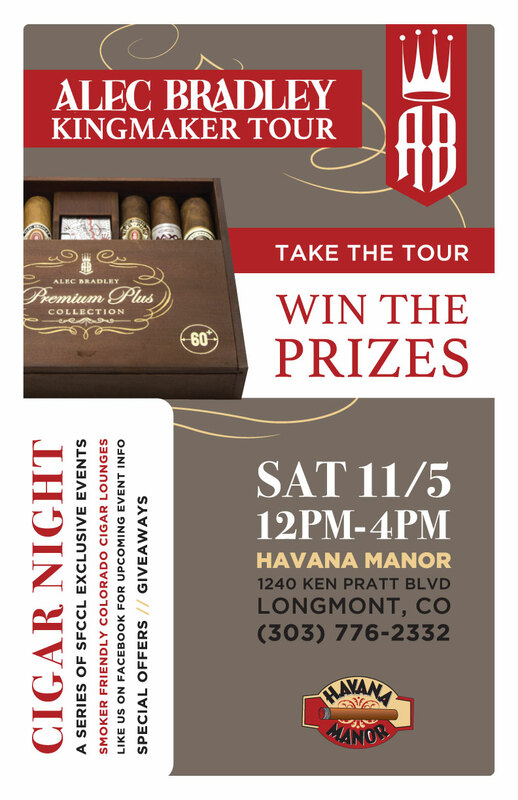 What better way to complete the Alec Bradley Kingmaker Tour than with a great event? Stop in SaturdayÂ November 5th, from 12pm-4pm, to enjoy great smokes and getÂ entered to win some great Alec BradleyÂ prizes. Alec Bradley Road Warrior Christopher Manso will be in house withÂ additional event onlyÂ offers. This entry was posted in Events and tagged Alec Bradley, Cigar Day, Cigar Night. Bookmark the permalink.